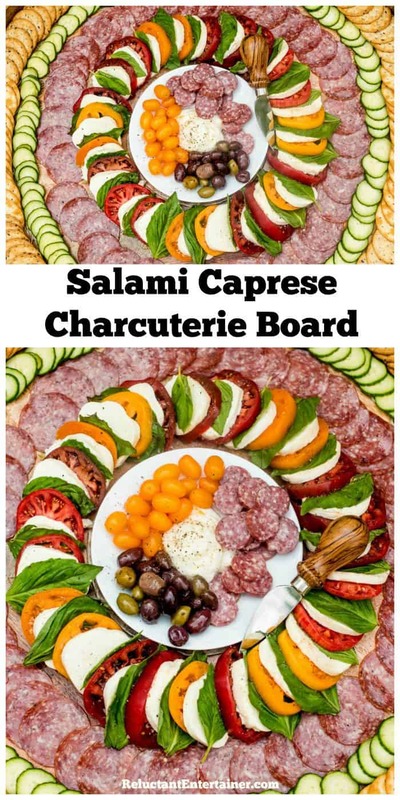 An epic charctuerie board filled with Caprese Salad, crackers, burrata, salami, cucumbers, and olives for a BIG HIT PARTY: Salami Caprese Charcuterie Board! 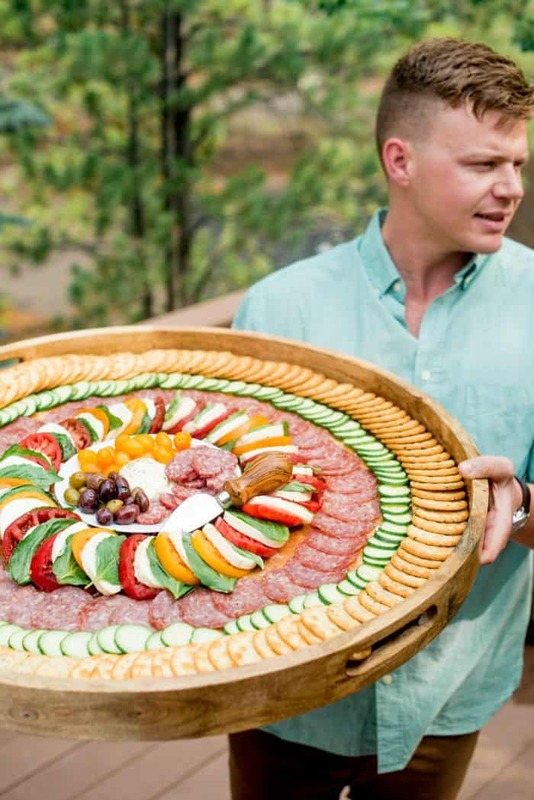 Friends, looking for a simple charcuterie board to make for a cozy gathering? Today’s board is epic, so it’s perfect for a large group. 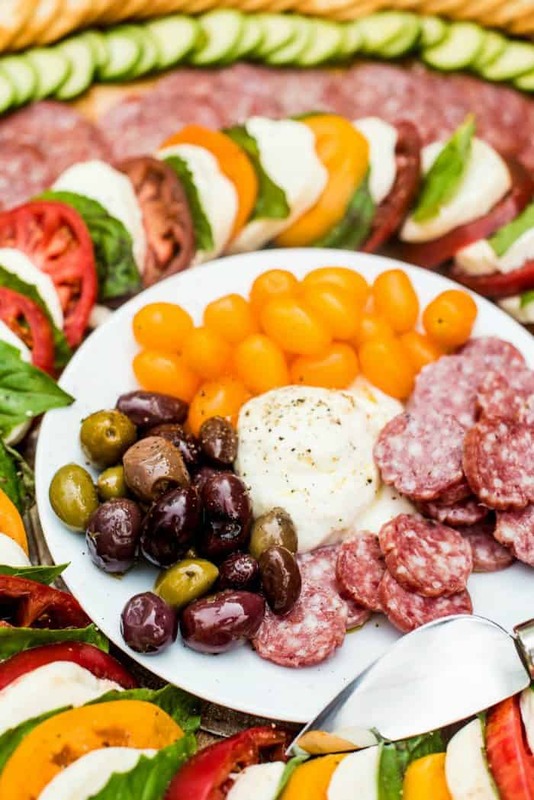 Or, you may be looking for a Summer Mini Charcuterie Board. Or, for the weekend, this Scrambled Egg Brunch Charcuterie Board – YUM! My son helped me with this board, with only a few ingredients. 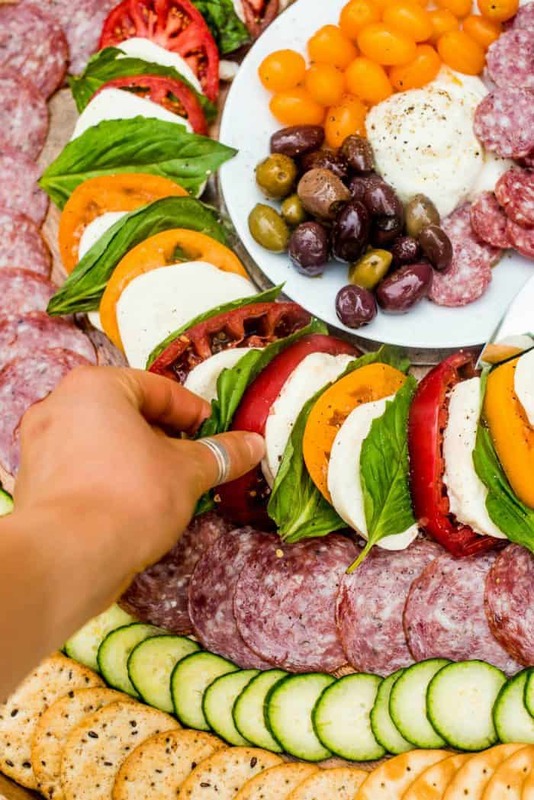 And since summer tomatoes are so ripe and lovely right now, include a giant ring of Caprese salad with fresh basil leaves. Fill in with salami, crackers, cucumbers, olives. SO GOOD! For our family, hosting others is all about connecting, and then bringing that intention to the table. 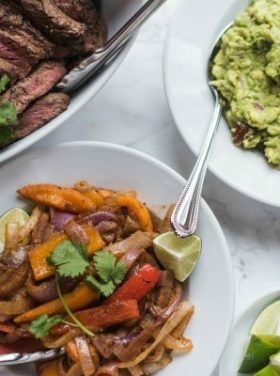 When we taste cozy foods (this board? so cozy), with delicious wines from around the world … just WOW, oh, WOW! Something wonderful and special happens every time. I love this quote. It’s true, we get pretty caught up in ourselves, when with only a little work, time, and money, we can invest in others. We could all do with forgetting ourselves a little more, I think. Doing for others, including them, being intentional with sharing our gifts with others, is what the world needs more of. A little bit of intention and a little bit of love. 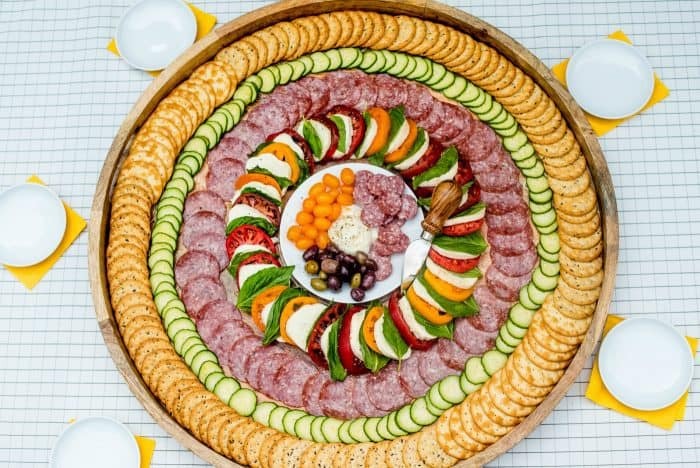 Combine it with a charcuterie board? A cozy, lovely gathering. You take your giant board. 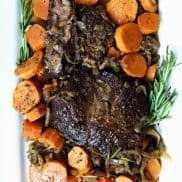 (If not food-friendly, layer with parchment paper:) You can also season your board with mineral oil and beeswax, if not food-safe. Research this yourself and decide what method is best for you. 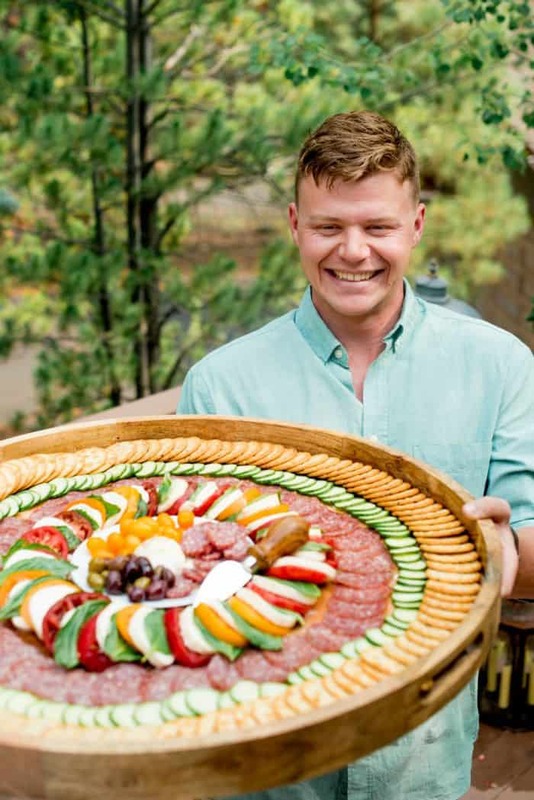 We bought this giant board (28-inches in diameter with a 2-inch lip) at Pier 1 last fall here in Bend, Oregon. It’s solid wood and SUPER heavy (just warning you). Even thought it’s very beautiful, you need a strong core to carry this around! 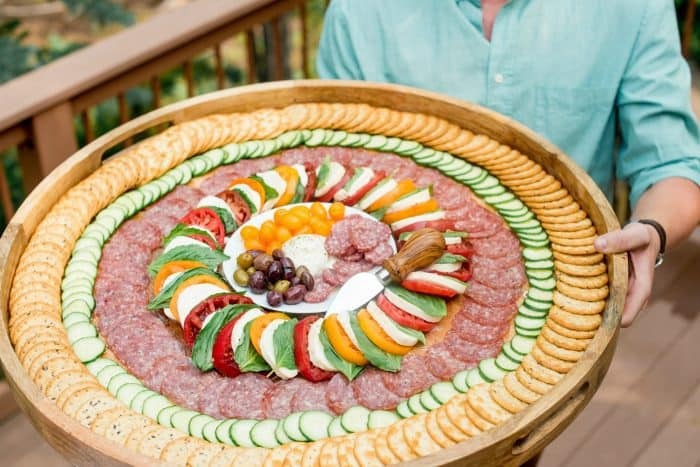 Here’s an 18-inch wine barrel wood board or a 24-inch hammered large round tray or a 26-inch stainless steel serving platter that you may also like! Check out the weight on these boards. If a wood board says it “not food safe,” you can lightly sand it down with sand paper, and rub down with beeswax and mineral oil. We used this butcher block and cutting board oil conditioner after we lightly sanded the board down. Or, lay down parchment paper! Easy peasy! 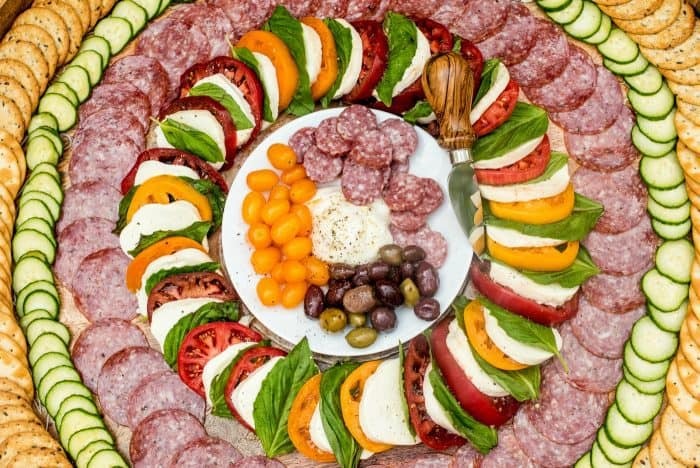 Start with a plate in the center with burrata, olives, and cherry tomatoes. Next layer tomatoes with mozzarella cheese and fresh basil leaves to make a ring of Caprese salad. 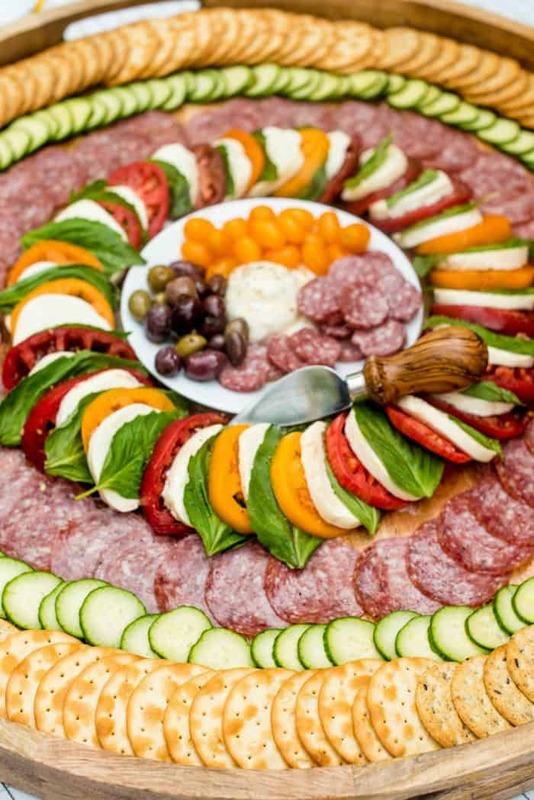 Fill in circular rows of salami and cucumber! Oh, and this kid? So proud of him, he’s applying for medical school right now. Oh, and I’m always happy when one of my kids carries this giant board for me. 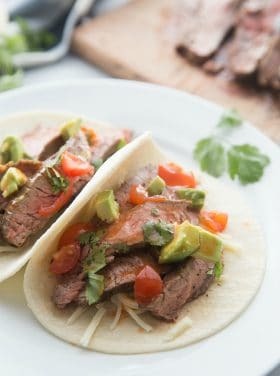 LOL It’s super heavy, but it’s perfect for feeding a crowd! 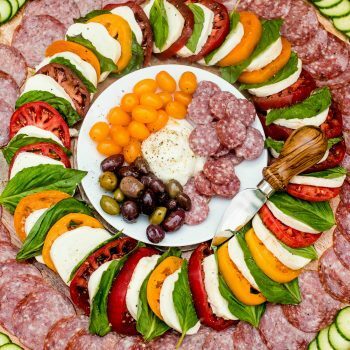 Prepare a very large board or platter with parchment paper (if not food safe). In the center place a large plate. 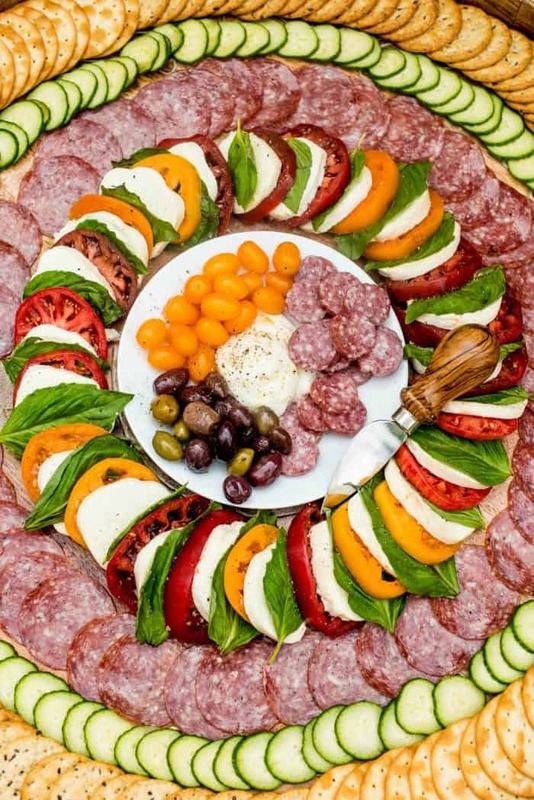 Fill the plate with fresh burrata, olives, cherry tomatoes, and salami. 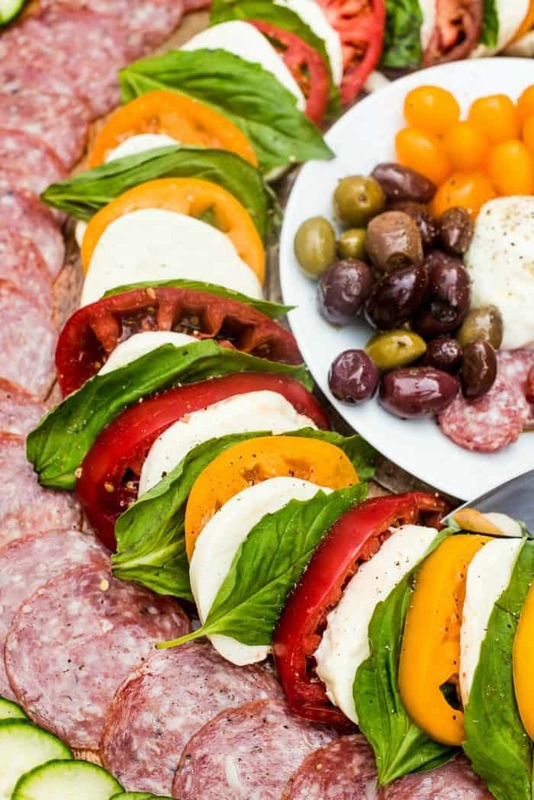 Around the plate arrange tomato slices, mozzarella cheese, and fresh basil leaves to make "caprese salad." Jump to the outside of the board and arrange crackers (optional to add cheese in between the crackers). Next add a ring of cucumber slices next to the crackers. 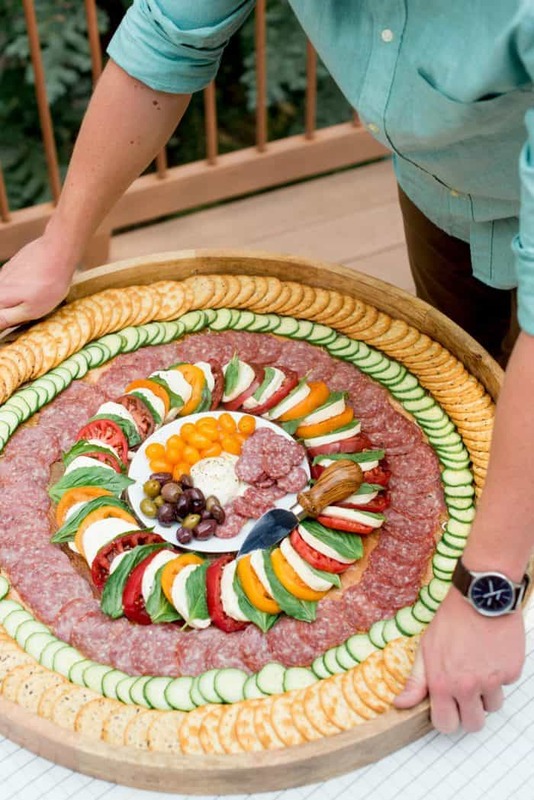 Fill in any openings with salami slices (or more cheese and crackers). More cheese board ideas: Fall Harvest Cheese Board [Nutmeg Nanny], Cheese Boards and Wine Pairings [The Noshery], and Whipped Ricotta Board [The BakerMama].